The USGS Spectral Library contains reflectance spectra, including samples of minerals, rocks, soils, physically constructed as well as mathematically computed mixtures, plants, vegetation communities, microorganisms, and man-made materials. The samples and spectra collected were assembled for the purpose of using spectral features for the remote detection of these and similar materials. The latest version is an update to the previously published version (2007) that is the leading database used by the global scientific community to identity materials by their "spectral fingerprints." The library is fundamental for Mineral Resources Program projects to characterize mineral resources with imaging spectrometer data. 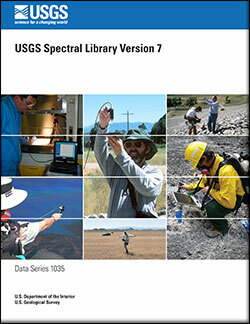 What is the USGS Spectral Library? Comparison of spectra for alunite from four sensors with different spectral resolutions. Figure 6 from USGS Circular 1413. The spectral library includes samples of minerals, rocks, soils, physically constructed as well as mathematically computed mixtures, plants, vegetation communities, microorganisms, and man-made materials. The samples and spectra collected were assembled for the purpose of using spectral features for the remote detection of these and similar materials. Spectroscopy is a tool that detects the absorption or emission of light as a function of wavelength. Airborne and orbital spectrometers can detect, differentiate, and map subtle chemical differences in minerals and other compounds. A digital reflectance spectral library that covers the wavelength range from the ultraviolet to far infrared along with sample documentation has been assembled over many years. We have released USGS Spectral Library Version 7, an associated data release, and a new interactive portal for the Spectral Library contents. The Version 7 library includes all spectra from the previous version along with more than 1,000 new spectra. This release includes field spectra of mixed vegetation plots in the coastal wetlands of Louisiana, as well as leaf level and plant level spectra of single species. 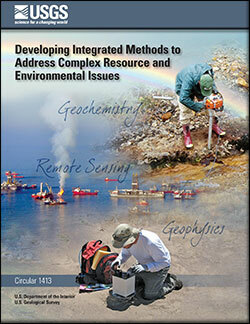 Spectra of oil emulsions, residues and oil-contaminated marsh plants from the Deepwater Horizon oil spill are included. The spectra of biochemical constituents of plants have been added to a new chapter along with spectra of more than 200 other organic compounds. Spectra of grain size series of minerals have been added in addition to spectra of minerals bearing rare earth elements and Lanthanide series compounds. Spectra of vermiculite insulation from the four main historical sources (Louisa, Virginia; Enoree, South Carolina; Libby, Montana; and Palabora, South Africa) were added. A new collection of powdered paint pigments spanning the range of classical artisanal colors is also included. We are also using a finer resolution spectrometer/microscope to take new spectral measurements and extend the spectral range of the library into the ultraviolet (UV) wavelength range and collecting spectra of individual mineral grains. These measurements will be made for new entries (critical minerals containing rare earth elements) and for increasing the spectra resolution of existing library samples. New additions will include spectra of minerals as a function of grain size, mineral-deposit specific minerals, organic and inorganic compounds, vegetation and man-made materials. We are upgrading our database and metadata structure to increase usability for our customers. The previously published version of the USGS spectral library (Clark et al., 2007) is the leading database used by the global scientific community to identify materials by their "spectral fingerprints." The library is fundamental for Mineral Resources Program projects to characterize mineral resources with imaging spectrometer data. We plan to expand the USGS Spectral Library with the addition of new samples and to update the spectra resolution and range of existing library samples. We maintain the USGS Spectroscopy Laboratory equipment necessary for laboratory and field spectroscopy equipment, which is used by and critical to numerous USGS scientists on many projects. 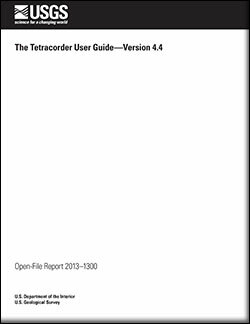 Collection of field and laboratory measurements for the USGS Spectral Library. Photographs by USGS. Bishop, J.L. ; King, S.J. ; Lane, M.D. ; Lafuente, B.; Brown, A.J. ; Hiroi, T.; Swayze, Gregg A.; Lin, J.-F.
Bishop, Janice L.; Lane, Melissa D.; Dyar, M. Darby; King, Sara J.; Brown, Adrian J.; Swayze, Gregg A.
Khanna, Shruti; Santos, Maria J.; Ustin, Susan L.; Koltunov, Alexander; Kokaly, Raymond F.; Roberts, Dar A. Detection of salt marsh vegetation stress and recovery after the Deepwater Horizon Oil Spill in Barataria Bay, Gulf of Mexico using AVIRIS data; 2013; Article; Journal; PLoS ONE; Khanna, Shruti; Santos, Maria J.; Ustin, Susan L.; Koltunov, Alexander; Kokaly, Raymond F.; Roberts, Dar A.
Clark, R.N. ; Curchin, J.M. ; Hoefen, T.M. ; Swayze, G.A. Reflectance spectroscopy of organic compounds: 1. Alkanes; 2009; Article; Journal; Journal of Geophysical Research E: Planets; Clark, R. N.; Curchin, J. M.; Hoefen, T. M.; Swayze, G. A.